Wild Blueberries make the list of these 20 healthiest foods to incorporate into your diet. Health influencer and registered dietitian Amy Gorin shares her delicious Wild Blueberry Peanut Butter Smoothie recipe with Shape readers. Antioxidant-rich Wild Blueberries make the list of the top foods every woman should eat. The Wild Blueberry Commission of Maine says its drive to get wild blueberries into school lunches is panning out. The commission launched the effort as a way to boost sales in response to years of surplus crop. 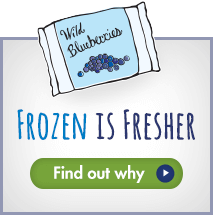 New research from the UK reveals that consuming Wild Blueberries may significantly boost the mood of young people. Minnesota Public Schools start serving frozen Wild Blueberries to 553 school districts. The Wild Blueberry Commission of Maine is helping to introduce the Wild Blueberry to school food programs across the country. The Wild Blueberry Commission of Maine is educating school food service programs across the country about the health benefits of the Wild Blueberry. Minnesota is the first state to join after new industry food service marketing program launched. Minnesota has joined the growing list of states to now offer Wild Blueberries as part of their school foodservice program. A little berry is making a big entrance into the school foodservice program supported by the Wild Blueberry Commission of Maine.